The U.S. co-chair of the OSCE Minsk Group said nothing new, he just repeated what the Madrid Principles say, Deputy Minister of Foreign Affairs of Armenia Shavarsh Kocharyan told journalists today, on September 15, when commenting on the statement by James Warlick about ceding the territories in exchange for Karabakh status. 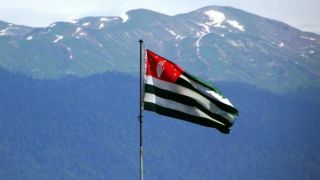 “The Madrid Principles on Karabakh provided time, but Baku did not use that time to settle other tasks. The principle implied mutual concessions, including the issues of the territories and the status. After the April aggression unleashed by Azerbaijan, it is time to think hard about the base for the negotiations,” the deputy minister said. In his words, once Armenia made a concession within the Madrid Principles when the referendum on Karabakh was postponed. He recalled that the Minsk Group mediators explained the postponement with the fact that Azerbaijan’s authorities needed time to prepare the people to the idea that Karabakh cannot be part of Azerbaijan. In fact, Azerbaijan used that time to prepare aggression against Karabakh. “This means that all the previous agreements need to be revised,” Kocharyan said. The diplomat added that no progress is possible unless the arrangements made by the presidents of Armenia and Azerbaijan in Vienna and St. Petersburg are implemented. “The necessity of strengthening the ceasefire and enlargement of the OSCE Monitoring Group in the conflict zone remains in force. The negotiation process can have no results unless these conditions are ensured,” he said.